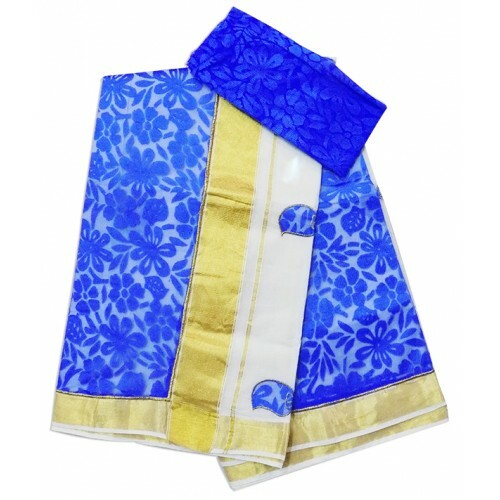 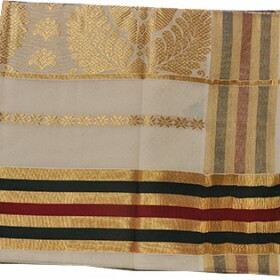 A new version of kerala kasavu saree with net model from Malabar shopping. 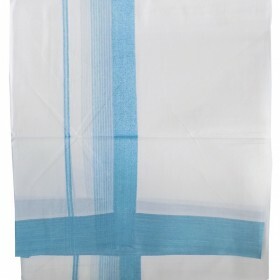 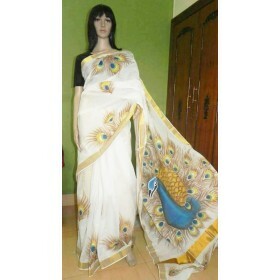 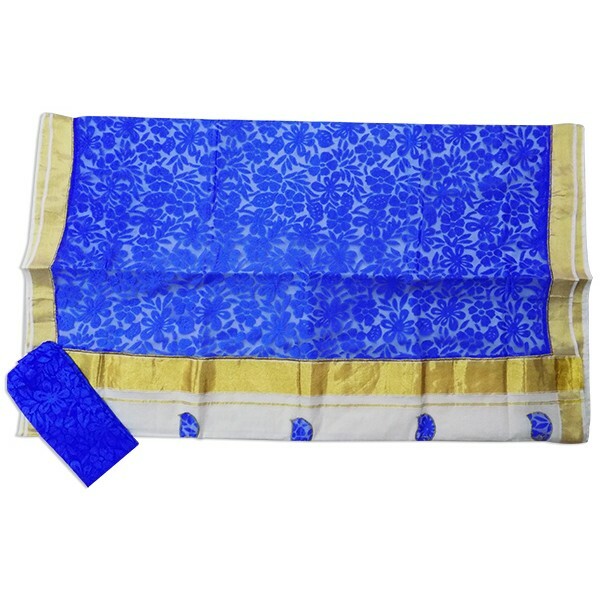 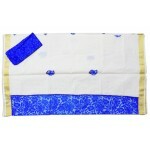 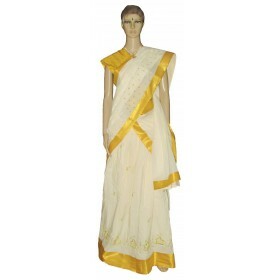 It is an off white saree with blue colour net and small net patch work on it. 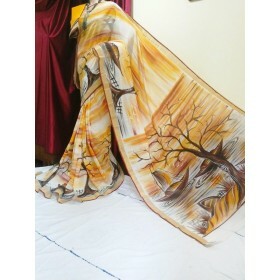 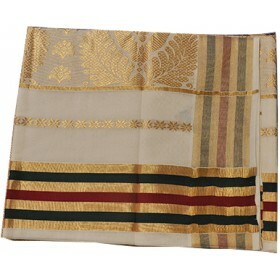 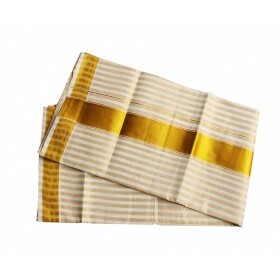 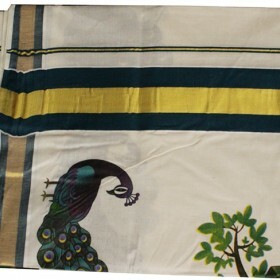 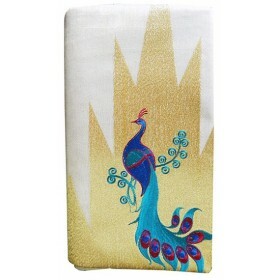 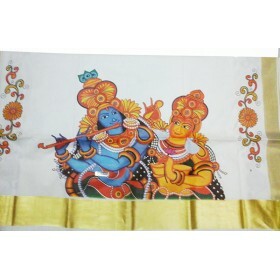 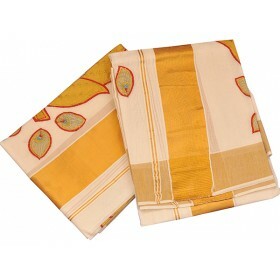 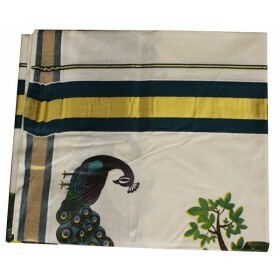 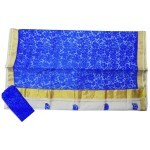 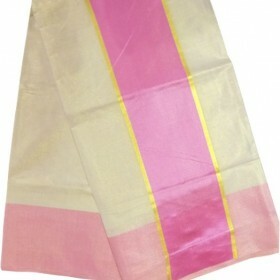 And also have 2 inches thick golden border on pallu and golden border on both sides. 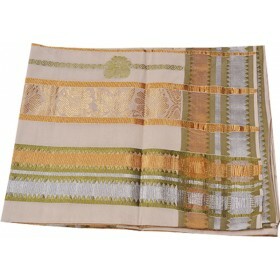 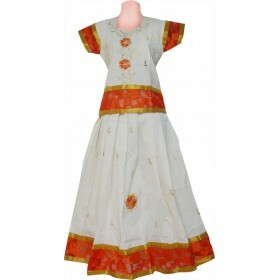 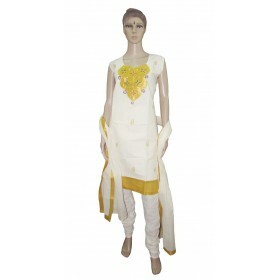 This can be used in any occasion as your perfect ethnic wear. 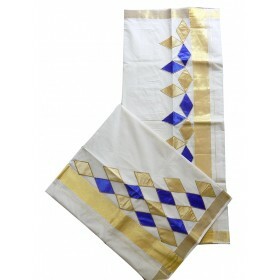 With matching jewel you will be star in all functions. 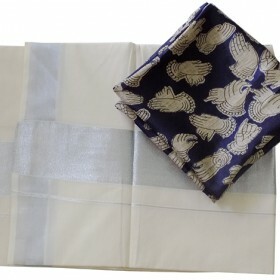 Matching net blouse piece comes along with it.